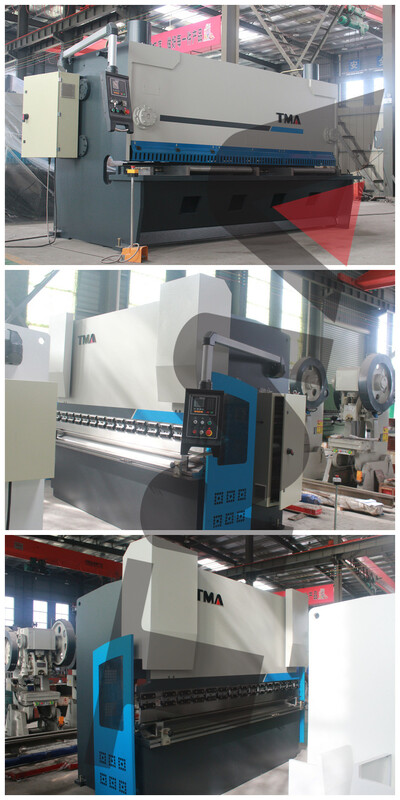 To Mexico---In recent years, Mexico,an industrial country ,began to turned it’s eyes to China and import machines from China.This time,customer from Mexico after visited so many factories finally have chosen TMA Machine. When talk about the reasons why choose us ,they said compared to other factories our machines are not only with high quality and reasonable price but also have good after-sales service(learned from their peers), so finally choose bought press brake WC67Y-125T/3200 & hydraulic Shearing Machine QC11Y-16X3200 from us. We really had a very happy cooperation and we agreed that there will be more in-depth cooperation.